Lying north of the Town of Laguna Vista, FM 106 abuts the Laguna Atascosa National Wildlife Refuge, which is home to the federally endangered species. 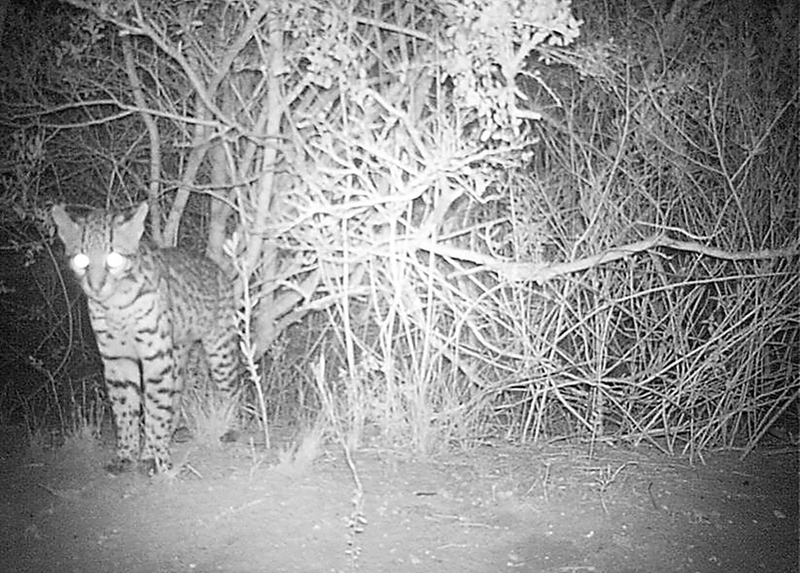 Just over a dozen ocelots have been recorded on or near the refuge. The photograph of the ocelot was released via a tweet by the Texas Department of Transportation earlier this month. Early media reports erroneously stated that the cat had been photographed using a wildlife crossing on Highway 48 between Brownsville and Port Isabel. *This post has been updated to add that, in April 2017, there were still no wildlife crossings along FM 106.